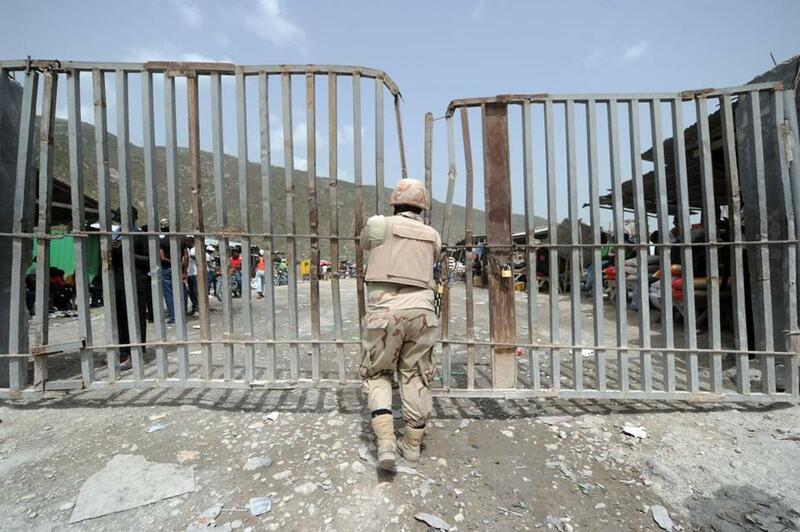 A Dominican soldier watched the border crossing at Malpasse, Haiti, in June. State Representative Frank Moran and Senator Linda Dorcena Forry are almost always on the same team. They are Democrats and the children of immigrants whose families hail from the same small island in the Caribbean. 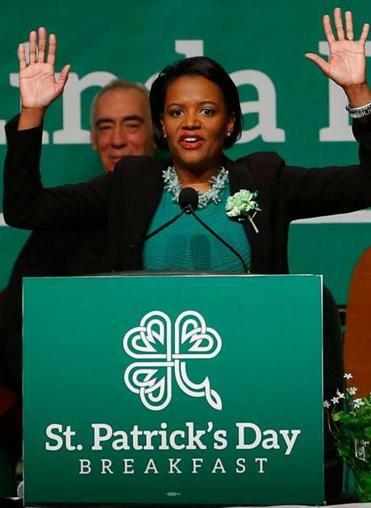 So when Dorcena Forry called for a boycott on travel to the Dominican Republic amid fears that the nation planned to deport thousands of residents of Haitian descent, she naturally turned to Moran for support. But he refused. Moran was born in the Dominican Republic, the state senator’s parents are from Haiti. Dominicans and Haitians are among the largest immigrant communities in Massachusetts, and over the years they have built alliances on issues such as education, immigration, and jobs. But now the conflict roiling the Dominican Republic is testing those loyalties and pushing Massachusetts politicians to take sides in the international fray. In Boston, tensions escalated in recent weeks amid widespread confusion over the effect of the Dominican Republic’s plans for enforcing its immigration laws. Dorcena Forry said she received death threats after she called for the travel boycott last month. On July 9, dozens of flag-waving protesters on both sides clashed in front of the Dominican consulate in Boston. The next day, Boston Mayor Martin J. Walsh called a special meeting to say he did not support the boycott, after an aide had publicly said he did. 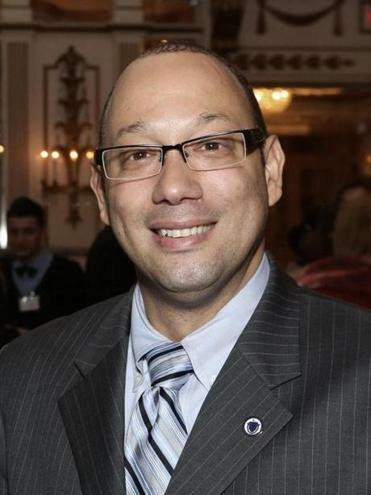 In a highly unusual move, this week a Dominican diplomat, Dominico Cabral, attacked Massachusetts politicians who support the boycott. In comments to Spanish-language media here and overseas, he called the travel boycott a “dirty campaign” that would hurt Dorcena Forry and others with Dominican-American voters. Massachusetts is home to more than 120,000 people of Dominican descent, including immigrants and their US-born children, and 77,000 Haitian-Americans, according to the census. “This is a humanitarian crisis. We get that the Dominican Republic is a sovereign nation,” said Sen. Linda Dorcena Forry, who favors the travel boycott. Dominican officials insist that nobody has been deported from the country since late 2013, after their nation’s highest court, reinterpreting a constitutional provision, ruled that Dominican-born children of undocumented immigrants were not entitled to citizenship. The ruling effectively revoked the citizenship of as many as 200,000 native-born Dominicans, mainly children of Haitian immigrants to the Dominican Republic. The order was retroactive to 1929. Amid international outcry, the country passed a law allowing those affected to apply for citizenship. Separately, also in response to the court ruling, the president cleared the way for people in the country illegally to apply for legal residency by June 17 or face possible deportation. The deadline reignited the international debate and generated fears of deportations, even for those born in the country. “No one born in the Dominican Republic will be deported,” Jose Tomas Perez , the Dominican ambassador to the United States, wrote in a July 11 column in El Nuevo Herald. But lawyers and others say the situation is more complex. They say the citizenship application process is so bureaucratic — demanding notarized documents that many native-born Dominicans do not have — that most have been shut out. About 55,000 native-born Dominicans with foreign parents have been approved, while another 9,000 applications are pending. “We need to find a solution, not to add more fuel to the fire,” said Rep. Frank Moran, who opposes the boycott. US Senator Edward J. Markey called the application process “overly burdensome” in a letter to the State Department earlier this month, and Secretary of State John Kerry expressed similar concerns in a statement. US Senator Elizabeth Warren did not respond to requests for comment. Wade McMullen, managing attorney at the Robert F. Kennedy Center for Justice & Human Rights, a Washington nonprofit representing stateless Dominicans, said many people of Haitian descent fear they will face deportation once the controversy dies down. And although Dominican officials say nobody has been deported, media reports have documented some deportations, and tens of thousands of people have left on their own accord, some fearing violence if they don’t. In his letter to the State Department, Markey said the Dominican government was “brazenly” encouraging the departures by providing free rides to the border. Cabral, the former Boston consul, said the Dominican Republic is simply trying to bring order to its immigration laws after years of lax enforcement. After the 2010 earthquake, he noted, the Dominican Republic allowed many Haitians to enter. He said officials are concerned that escaped prisoners also slipped across the border, adding to the need to register immigrants. In Massachusetts, the debate is testing immigrants and their children — particularly lawmakers such as Dorcena Forry and Moran, who straddle two worlds. They are bilingual and speak English with Boston accents, and are far more familiar with Massachusetts. Former Boston lawmaker Marie St. Fleur, a Haitian-American who favors the boycott, said many immigrants and their children do not know the long history between the countries. Dominicans have recruited Haitians to work there for over a century, but many were often mistreated. One horrific example was the 1937 massacre of thousands of Haitians by Dominican soldiers. In 2010, the Dominican Republic amended its constitution to bar Dominican-born children of illegal immigrants from obtaining citizenship. In the United States, people born in the country are citizens at birth. “There needs to be a better job of pulling people together, and having conversations and really sharing the history so that it’s about fixing the problem,” St. Fleur said. Moran, the state representative from Lawrence, said he has struggled over the conflict in recent weeks. Though his city is largely Dominican-American, he left the Dominican Republic when he was 8. He read news reports about what’s happening in his home country and called his father for guidance. “I am trying to defend something I don’t know,” he said. After some research, Moran decided to remain neutral. He said the Dominican Republic has the right to set its immigration policies, but he did not approve of deporting people who were born in the country. And he definitely does not support a travel boycott, which he said could hurt the Dominican Republic and businesses in cities such as Lawrence. 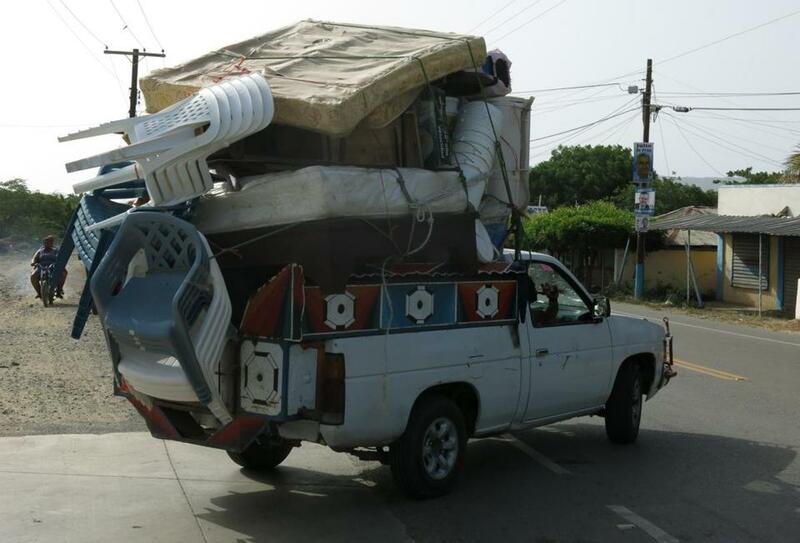 A moving truck approached the Dominican Republic’s border crossing with Haiti a few days after last month’s deadline. Maria Sacchetti can be reached at msacchetti@globe.com. Follow her on Twitter @mariasacchetti.